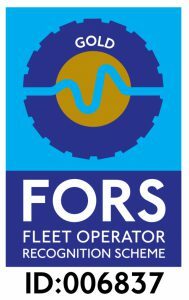 At Aquaflow, we have been diligently trying to improve both driver safety and driver awareness across our fleet and are proud to announce that we have recently been issued FORS Gold certification! FORS Gold requirements primarily involve best practice measures, including promoting of the FORS Standard through our supply chain and demonstrating meaningful improvements against the baseline data gathered in FORS Silver. Our Transport Manager (Louie Dadomo) has been the driving force behind this scheme and was abley assisted by our Health & Safety Advisor (Tommy Adams), when providing all required information as part of our Case Study, which was an integral part of the process behind achieving FORS Gold standard. We are all extremely proud of the award of this certification, and also the individual achievement of Louie to get us there. Our Employee of the Month for July is ARRON JENNER. 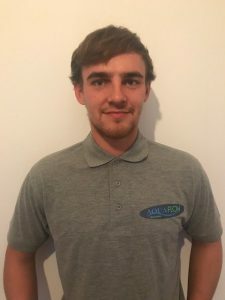 Arron is an absolute pleasure to work with, he is polite, courteous, punctual, helpful, professional and goes above and beyond, (all words used to describe him from the managers who vote for this award). This month, Arron received nearly every vote for the monthly award and we are all delighted that he has received this recognition, which he thoroughly deserves.